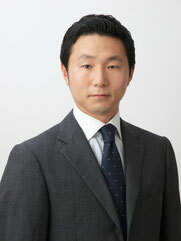 After earning a bachelor’s degree in Law from WASEDA University in 1996, Masayuki started his career at Pricewaterhouse Aoyama Audit Corporation as an auditor. Then he became of CFO of IT venture company in Tokyo. After experience in the industry, Masayuki joined PWC Eastern Europe, he had mainly resided in Prague, Brussels and Moscow as a main member of Japanese business practice team. Masayuki led a lot of market entry projects for Japanese clients into Russian and CIS countries.